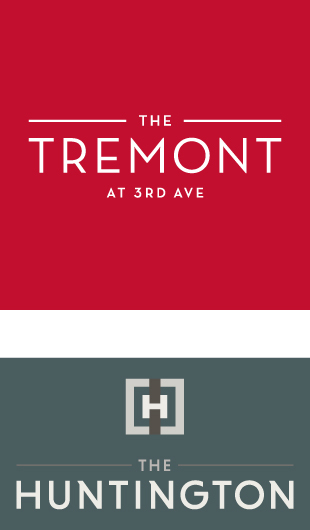 Introducing The Tremont & The Huntington, upscale apartment living that puts the best of 3rd Ave at your fingertips. Just steps from the distinctive dining, shopping and entertainment of 3rd Ave, The Tremont is an inspiring interpretation of modern vitality. Apartments feature generous amounts of natural light, 9’ ceilings, modern kitchens, a washer/dryer, sophisticated finishes and more. Community amenities include covered parking, a fitness center, an outdoor pool with grilling patio, an indoor/outdoor Sky Lounge, a free bike share program and an express MBTA bus to the Alewife station.